The 3rd. International Creative Art Dissemineting(ICAD)2016. 1. Siriwat Sanserm. Research Entitled : Education Roles of Art Museum in Thailand, In proceeding of the 2003Hawaii International Conference on Education,CD-ROM. Honolulu,Hawaii. U.S.A.
2. Siriwat Sanserm. Research Entitled : Key Elements of Art Museum in Thailand, In proceeding of the 9th Generative Art Conference GA2006,Book. Politecnico di Milano University . Milan,Italy. 3. Siriwat Sanserm. Research Entitled : Management and Development Directions for a New Contemporary Art Museum located in area 35 rai of Thailand Cultural Center., In proceeding of the 2nd International Conference Inclusive Museum 2009,Book. Queensland University. Brisbane,Australia. 4. Siriwat Sanserm. Creative work Entitled : MAMA EYES: Printed graphics for visual Rehabilitation of the elderly,In proceeding of the 3th International Creative Art Disseminating (ICAD) 2016,Online proceeding. Silpakorn University. Bangkok,Thailand. 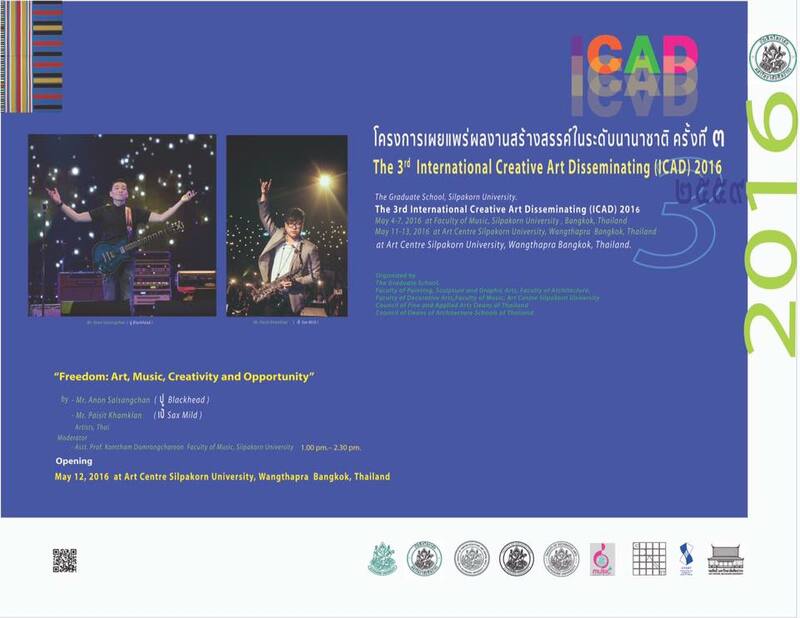 5.Siriwat Sanserm.Academic paper Entitled : Thai font design for elderly,In proceeding of the 3th International Creative Art Disseminating (ICAD) 2016,Online proceeding. Silpakorn University. Bangkok,Thailand.